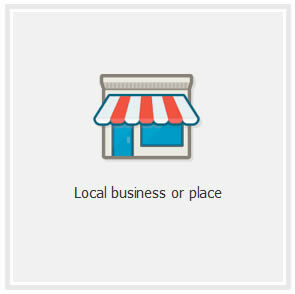 Select the “Local business or place” option. Complete all the fields displayed in image below. 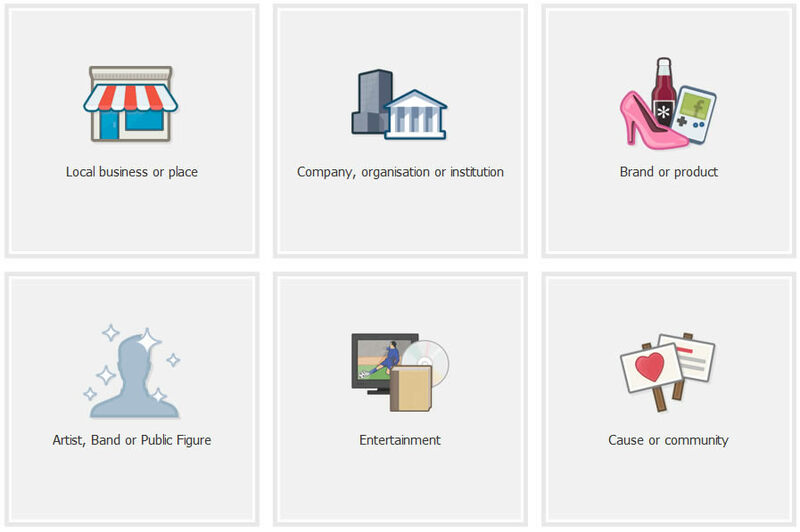 Select the “Create a new business account” option. The following message will display once you have completed the above form fields. Open the inbox for your email account which you used in sign up process and select the Confirmation Link. The following page will display after you select the confirmation link. Enter a description for your business. Enter your business website address. 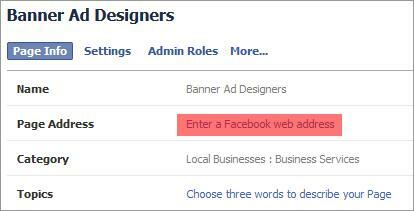 You can select “Add another site” option if you want to add your Twitter, Pinterest, Blog or another website related to your business. Select “Yes” optional if you have registered your business with your government organisation i.e. Companies House (UK). Select the “Save Info” button once you have completed all the fields displayed in image below. The next screen will request for you to upload a Profile picture. Select the “Save Photo” button after uploading your profile image. You can Skip this process and add your profile image later if you do not have your logo at the correct size. 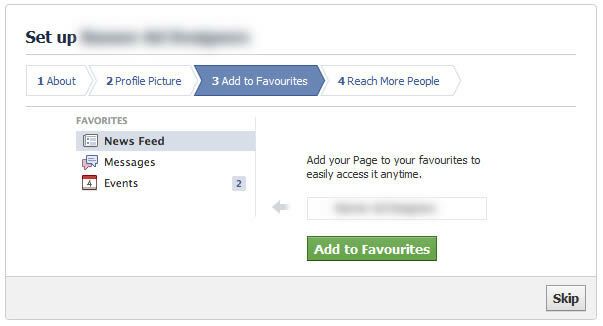 The next screen is optional, this screen simply allows you to add your facebook page to your facebook Favourites list. Simply select the green “Add to favourites” button and continue to next screen. 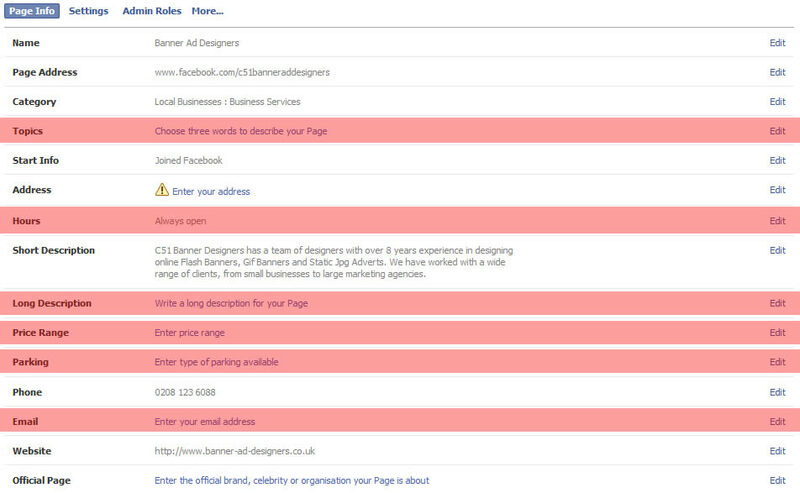 Select the “Skip” button on the next screen to complete the basic set up of your facebook business page. 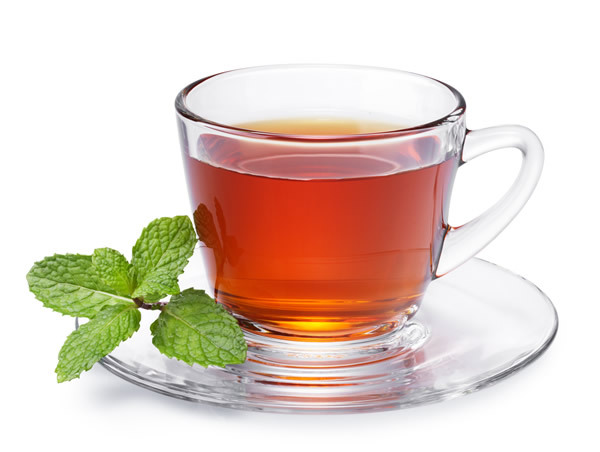 TAKE A 5 MINUTE BREAK ! 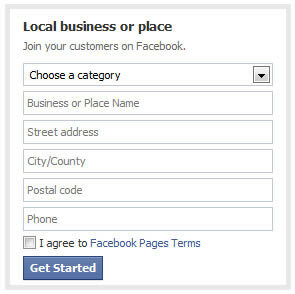 To complete the following steps you will need to login to your facebook business account. 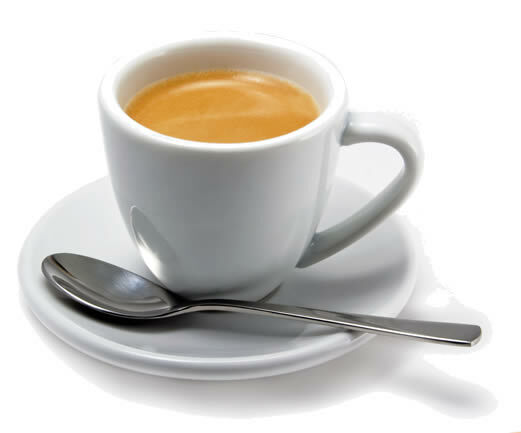 Select the link below to login to your facebook business account. 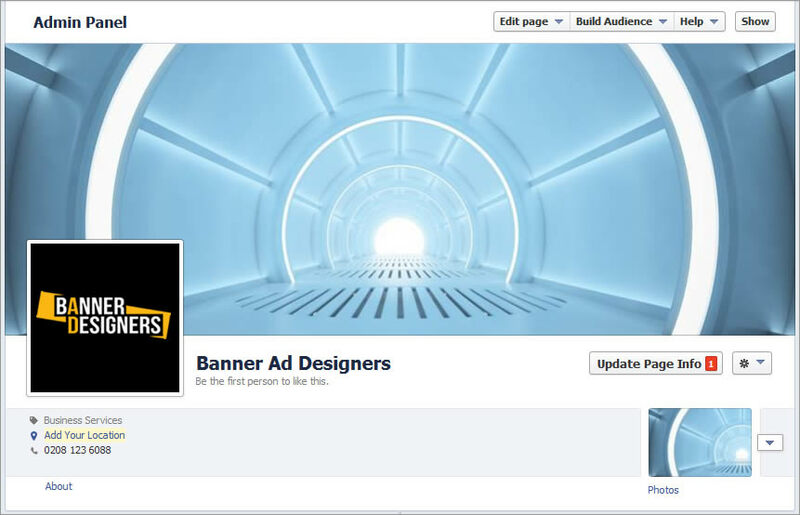 The next step is the create a cover image for your facebook page. Select the “Add a Cover” / “Upload photo…” buttons as shown in image below. 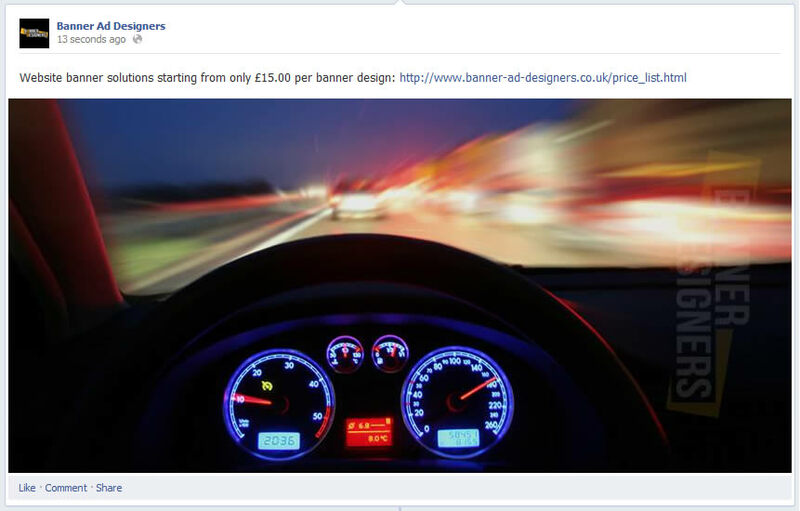 The image you upload should be 850 x 315 pixels. The 2nd url is much easier to share with your customers and incorporate into your marketing campaign. This task is optional. Select “Edit Page” / “Update page info” as shown below. 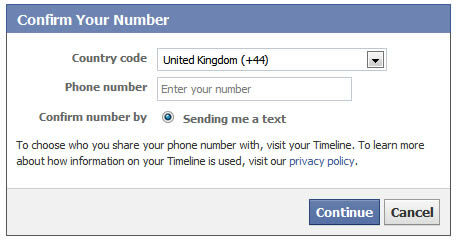 Select the “Enter a Facebook web address” link located in the Page Address section as shown below. Select the “Create a web address for this page?” link located in the Page Address section as shown below. After selecting link you will be requested to enter your facebook password. On the next screen you will be requested to select your “Country Code” and enter your phone number. After completing this task you will receive a text message with a confirmation code. 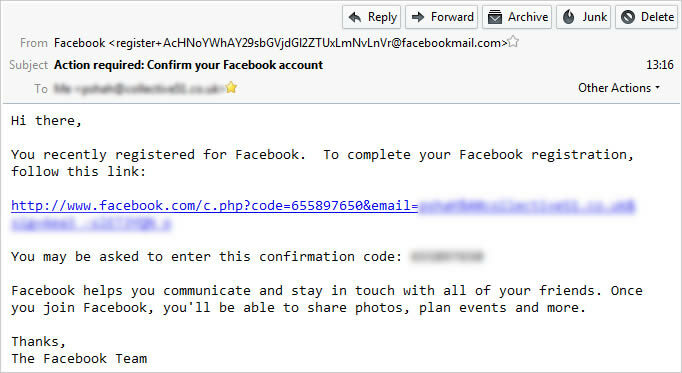 Enter your confirmation code and select the confirm button. On the next screen select the options which are relevant and then select the “Save settings” button. 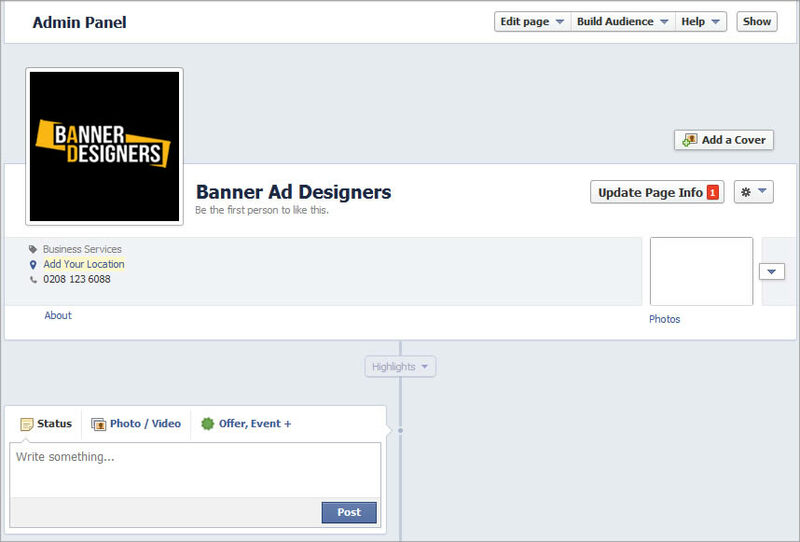 Click on the facebook logo located in the top left, this will take you back to your business facebook page. In this 1st example we will create a short message and link to the Banner Ad Designers website. Create a message for your business and add a link to the end of your message, this should be a link to your own website. 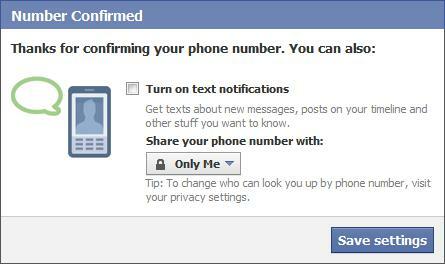 Enter your message into the “Status” box as shown below. 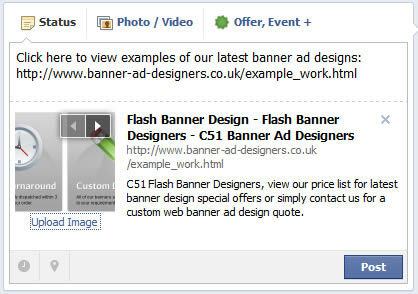 facebook will visit the website address you entered in your message and look for a suitable image to display in your post. 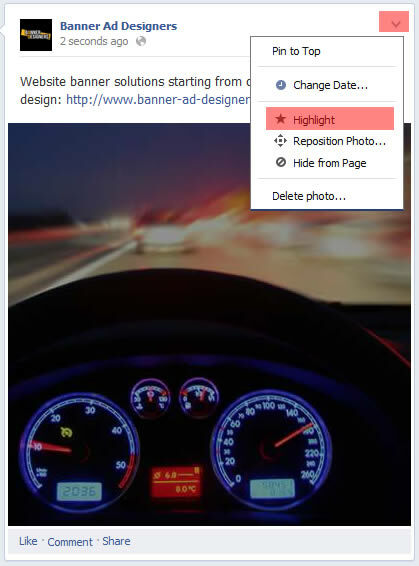 A left and right arrow will display if facebook can find more than 1 image on your website page. 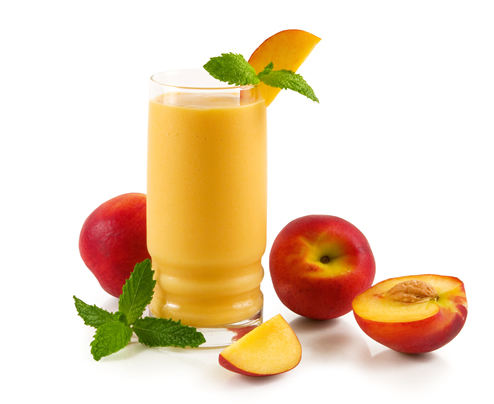 You can select the “Upload image” option if you want to add a different image for your post. 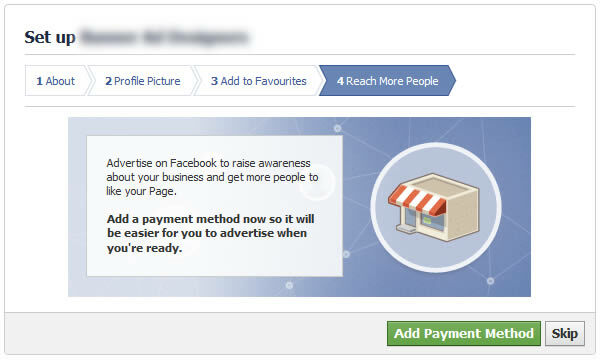 Facebook will also scan the Meta Data for your page and display this next to the image as shown in image below. Select the “Post” button to add your 1st facebook post. 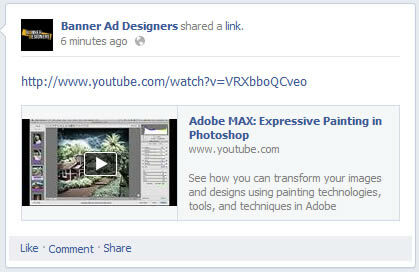 In this 2nd example we will create a highlight message and link to the Banner Ad Designers website. 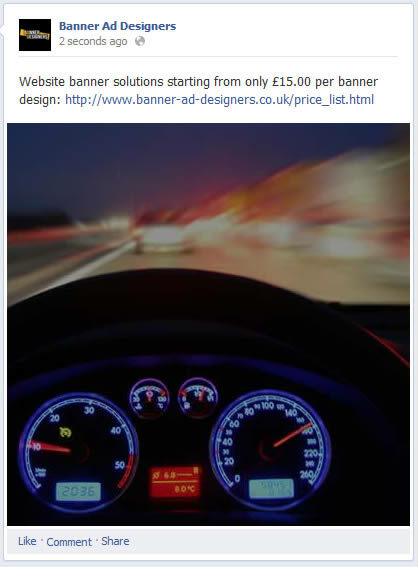 Create a message for your business and add a link to a relevant page on your website. We need to create a “Highlight Image” before adding message to facebook. Select the “Photo / Video” button as shown in image below. Select the “Upload Photo / Video” link. Enter your message and select the “Browse” button to upload your highlight image as shown in image below. 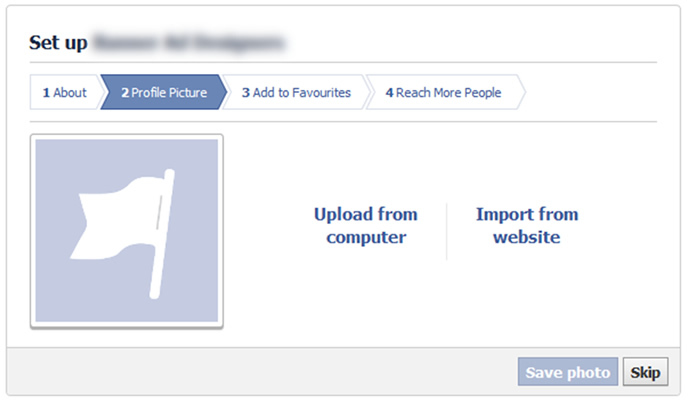 Select the “Post” button to add your message and image to facebook timeline. Move your Mouse Cursor to the top right of your facebook message, click the downward pointing arrow and select the Highlight option from the drop down menu. 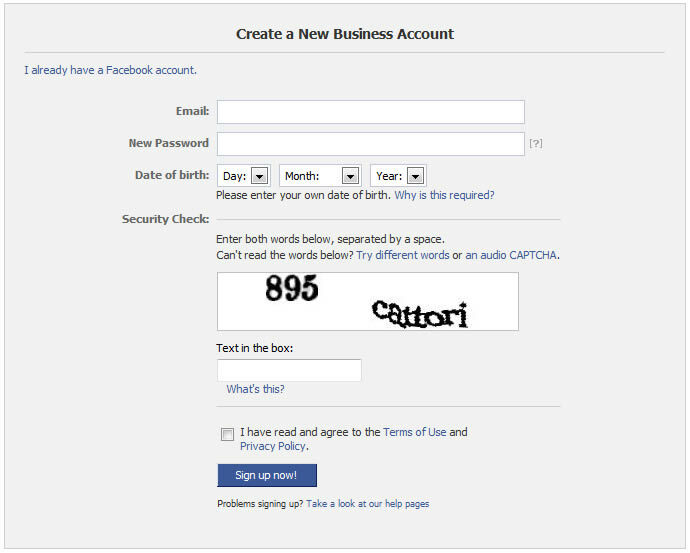 Your facebook mesasge will look similar to the example below once you have completed the steps above. 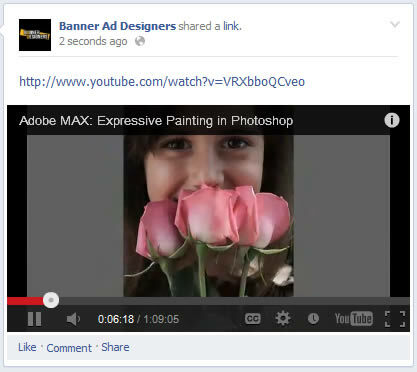 In this 3rd example we will add a You Tube video to your Facebook business page. The process of adding a You Tube video is very simple. 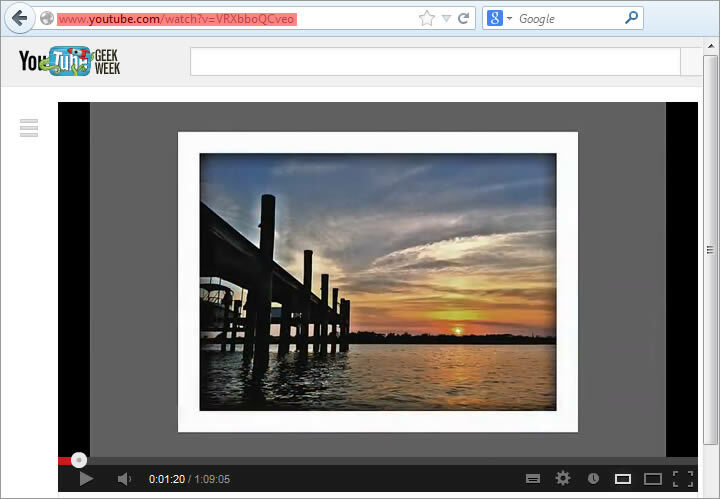 Copy the URL from the address bar as shown in image below for your selected video. 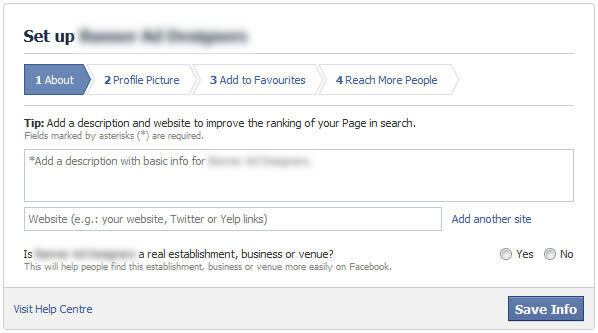 Navigate to your facebook business page and paste the URL address into the Status text box as shown in image below. Facebook will generate a suitable image and description of video. Your completed You Tube video post will look similar to example below. 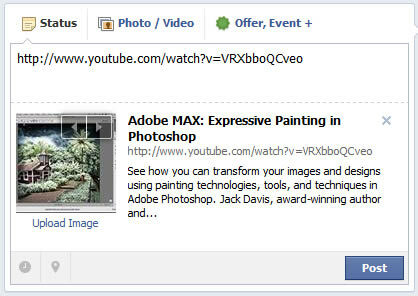 Your facebook page visitor can now play the video directly in your facebook page by simply selecting the play button. At minimum try to complete all the fields highlighted below. You can edit each section by clicking on the “Edit” link.